A new approach to family and personal memoirs that includes many creative formats. Memoir Your Way inspires family storykeepers to create a memoir using a craft you already know or are inspired to learn to create a personal, polished memoir your family will treasure. Accessible and with broad appeal, this first-of-its-kind book extends the written memoir form to cookbooks, scrapbooks, quilts, and other forms of storytelling. 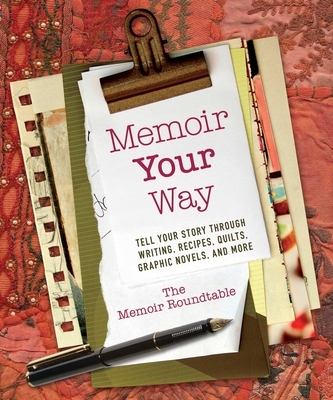 Memoir Your Way makes memoir accessible to everyone, including those who don't see themselves as writers. Memoir Your Way is a valuable sourcebook for quickly and easily creating memoirs that celebrate family stories and ancestry. The Memoir Roundtable is a group of six writers, crafters, and workshop leaders: nationally known quilter and American Folk Art Museum award-winner Linda Pool; public TV producer, cookbook editor, and cultural anthropologist Dianne Hennessy King; award-winning writer and memoir workshop leader Joanne Lozar Glenn; children's literacy expert and speaker Nadine James; memoir teacher, educational game inventor, and scrapper Katherine Nutt; and award-winning content producer, author, and graphic novel creator Natasha Peterson. The authors reside in Virginia.